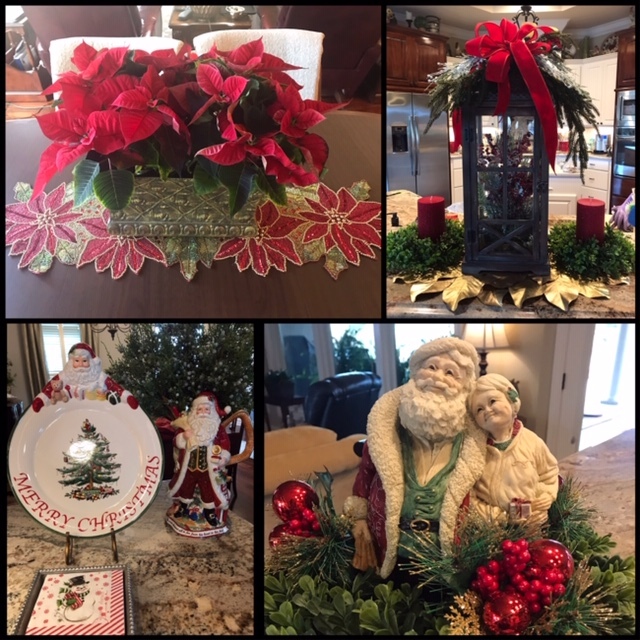 In the past few years I call what I do for Christmas decorating, "touches of Christmas." I do not decorate every inch of our home but just have a few touches here and there and our tree. I have just about done every type of decorating over the years. I have decorated almost every inch of our home and everything in-between. I use a few plaques and platters on easels for a nice presentation. And, I do love this Santa with his bag filled to the brim. And, the elves and talking bear await the Grans, he recites the Night Before Christmas. I always have some live poinsettia's and they look so good on my pretty beaded table runner. This picture of the lantern is not good and you can not really see how pretty it is but you'll just have to take my word for it. ~smile~ And, this Mr. and Mrs. Santa is probably 25-30 years old and I love it! I had a big collection of the United Santa's at one time but gave the kids some and sold the rest. This is the only one I have now. I love my dining table decor! I used all mercury glass and mirrors with silver glitter candles. I love the look with the cherry and mahogany furniture. 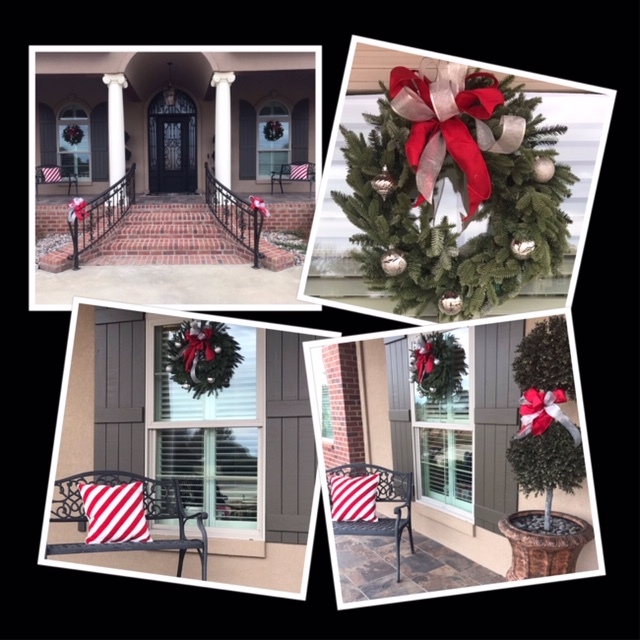 I love a welcoming entrance and always try to have that look at our home. I chose red and silver and love the look. I'm very pleased with my "touches of Christmas" and hope you enjoyed seeing them. Wish I could have all of you over for a holiday gathering and a time of visiting. What fun! Thanks for stopping by, I love my readers!!!! You are the best! Your touches are beautiful and wonderful! Thanks so much for sharing them with us. My favorite is Mr. & Mrs. Santa. Gorgeous! Everything looks beautiful, Lea! I think you're most definitely set for the Christmas season! I stopped by Panzico's this weekend and that had tons and TONS of poinsettias and they were all just gorgeous! I'm hoping to get some live greenery this weekend to finish up my decor and then we'll be ready for the season as well. Looks lovely, Lea. I especially love Mr. and Mrs. Claus, they look so enduring. All of your touches are beautiful and so tastefully done. Yes, both your tabletops are lovely and that tree is spectacular. Enjoyed the chase down story that you didn't tell. LOL! We both are so comfortable with the "less is more" concept these days. 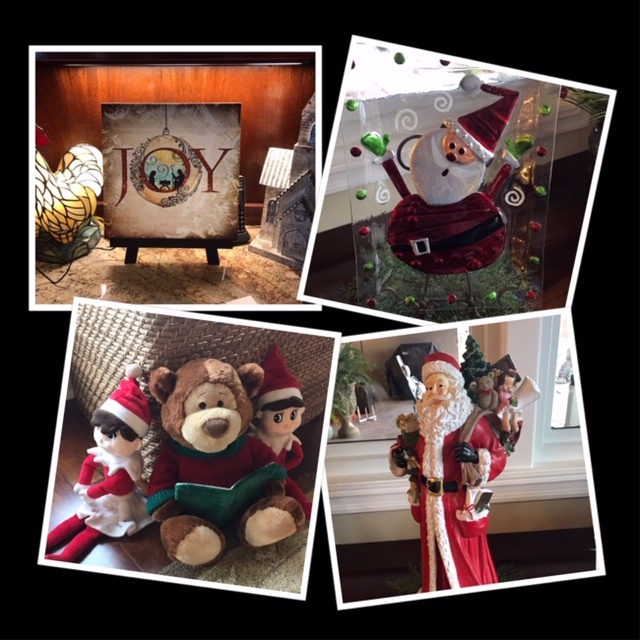 I hope "Touches of Christmas" isn't copyrighted because I would LOVE to use it when describing my decorating. It's a perfect description. Your touches are elegant but simply done. Your "touches" are just perfect - enjoy them! Gorgeous and class to the max!!! I love the things sticking out of the top of the tree. Classic beauty!! 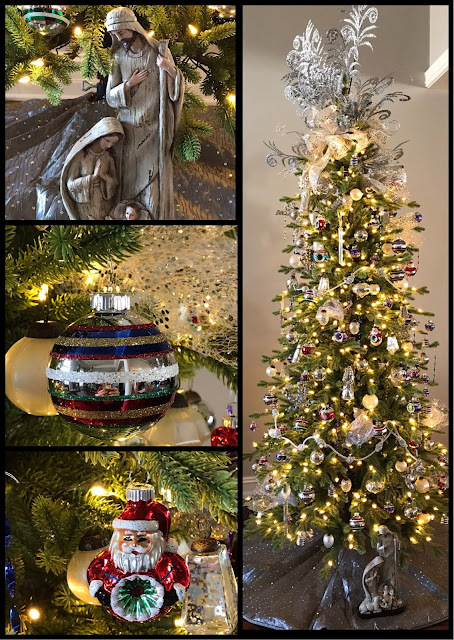 I absolutely LOVE your tree!! I love traditional Christmas and your "touches" are beautiful. I always make sure to have a few live poinsettias as well. Nothing says "Christmas" like they do! Absolutely beautiful! 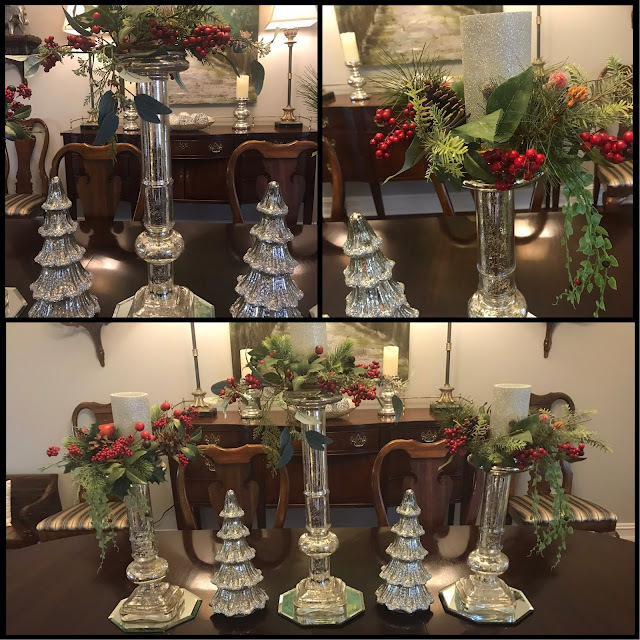 Love the red and silver and those mercury glass tress are stunning! Everything is so beautiful and Balsam Hills makes the most amazing trees!